Your smile is one of the first things people notice about you and porcelain veneers are a great way to make your teeth look great without looking artificial. 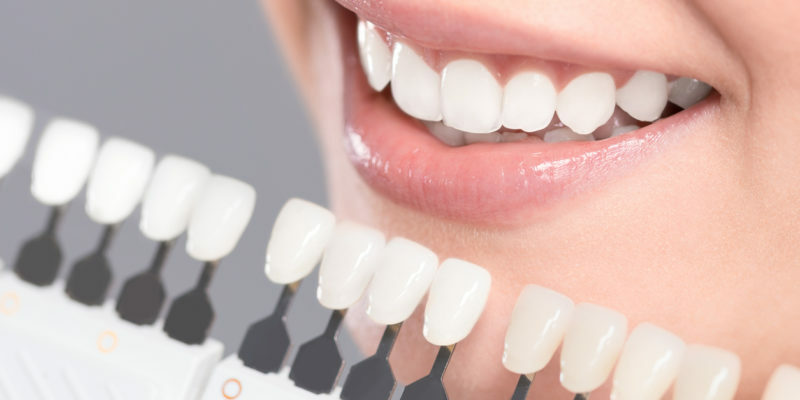 The process of applying porcelain veneers is a simple and permanent procedure that gives a look of straight, beautiful teeth without the call for the use of braces or other correction devices. They are designed to fit the frame of your face and can be customized depending on the look you are wanting to acquire. Veneers sit overtop your real teeth and improve their look. This means you still have the function and feel of your real teeth, which ensures an ideal move for eating, biting, talking, and everyday comfort. Everybody deserves to love their smile and feel confident of their teeth. Porcelain coatings are often used to help cover or repair misshapen, damaged, rotated, stained, gapping, or overlapping teeth. However, they do so without having to pull or replace. By sitting atop your current teeth, you can easily correct any cosmetic issues while still receiving a permanent solution to your dental needs or insecurities. If you’re interested in learning more about porcelain veneers or to determine if you’d be a good candidate, call the Family Dentistry of Columbus, located in Columbus, GA today.